Abba, I give you my life again today. Everything I am and everything I have, I give it over to you. After all it belongs to you in the first place! Jesus do with me, as you please, all for your Glory. I surrender all. Take my life and let it be yours. We invite you to donate a basket and be a blessing in Colombia this Christmas. Have you ever felt unworthy, unwanted or unwelcome? If so, it is time to speak life and come in the opposite spirit. Remember today you are worthy, wanted and welcome. God took great pleasure welcoming YOU into His family. You are worthy and wanted! Ephesians 1:5 - God decided in advance to adopt us into his own family by bringing us to himself through Jesus Christ. This is what he wanted to do, and it gave him great pleasure. HCL Ministries has been welcomed to the Luis Palau Association: Next Generation Alliance. Committed to Evangelism and seeing the Gospel spread to the ends of the earth! 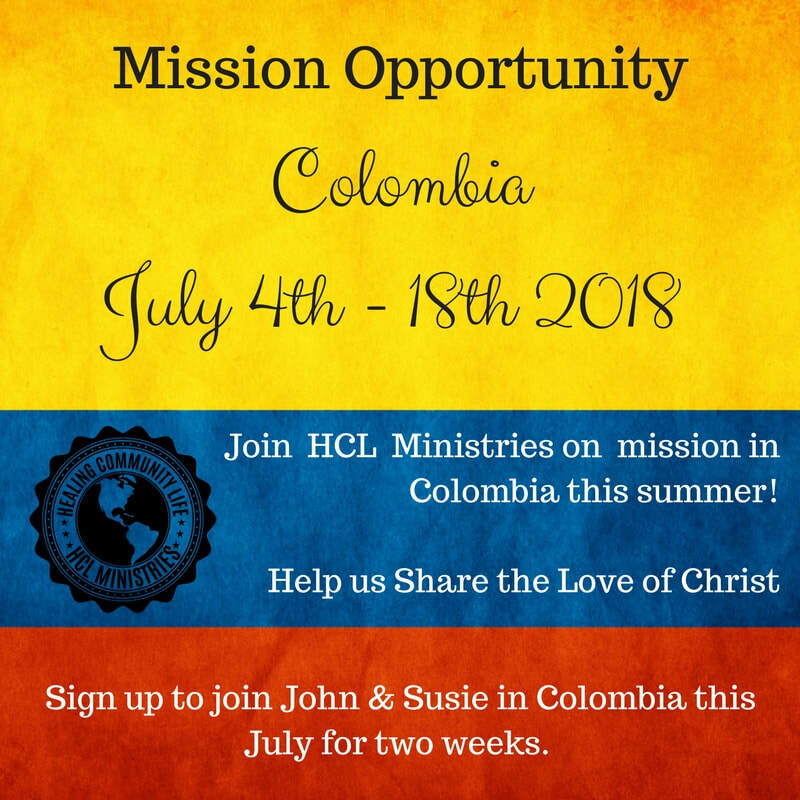 We are excited to see where this new partnership may lead and look forward to joining the Luis Palau Association in Colombia again in August. Contact healingcommunitylife@gmail.com for more information and to sign up!